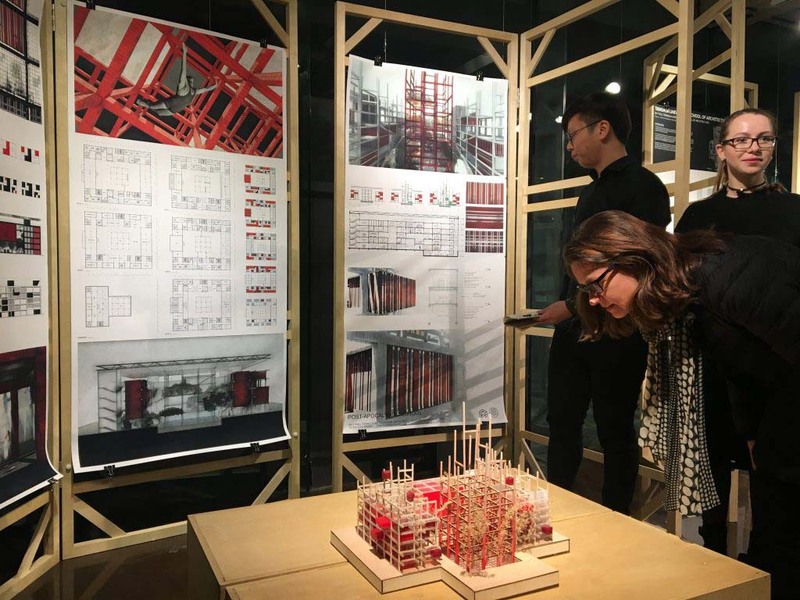 As part of the first year of the English Program Master of Architecture (EPMA) course, taught at Tsinghua University, the second studio focuses on the actual architecture school building itself, and investigating its function and usage. The starting point for this investigation is an understanding of architecture as a relation between our mind and our perception of the environment; the cognition of space. Architects can thus, by designing space, influence our cognition and effect learning, especially important in designing educational environments. 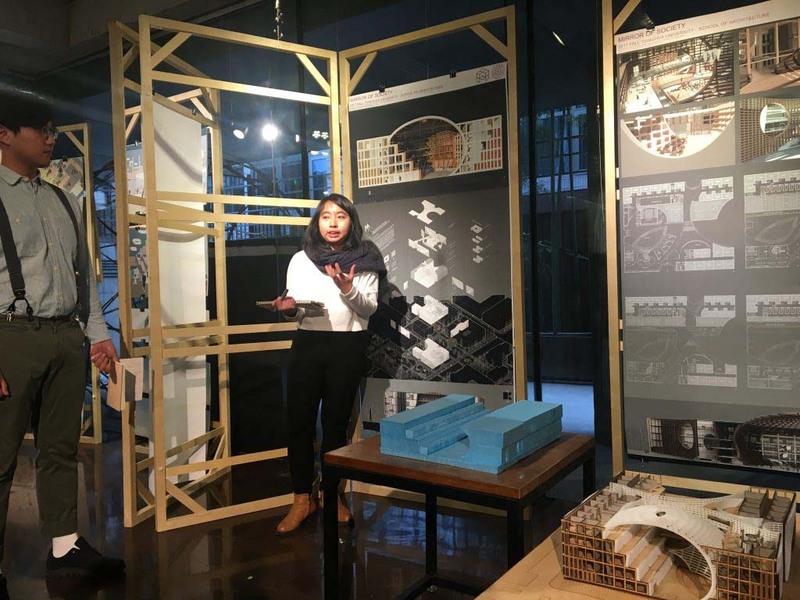 The studio seeks to show how a certain architectural approach, that defines a certain type of space, can be a stimulus to learning. 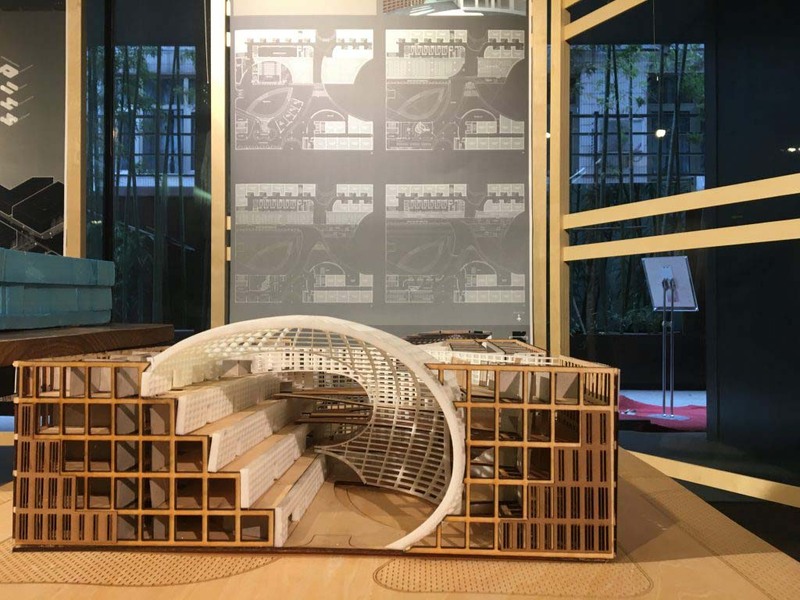 It tries to show why, and how, an architect can try to understand, and apply, the evolution of learning ideology and the evolution of the classroom as a spatial unit. From a classic sphere of instruction with a one-directional learning ideology (blackboard with teacher to student), the contemporary classroom has evolved to a homely base, allowing for an ever-changing, stimulating environment, in which students and teachers interact creatively. 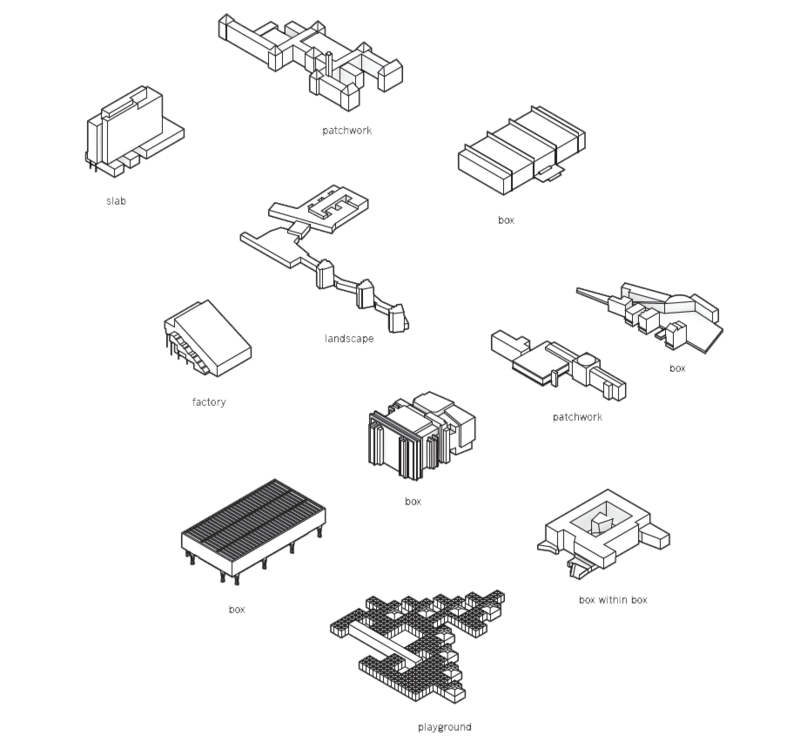 Spatially characterized by a need for identified, appropriate-able places: spatial units. Not closed off, but open and inviting, and in which, despite the publicness, you can still concentrate yourself and feel at home. 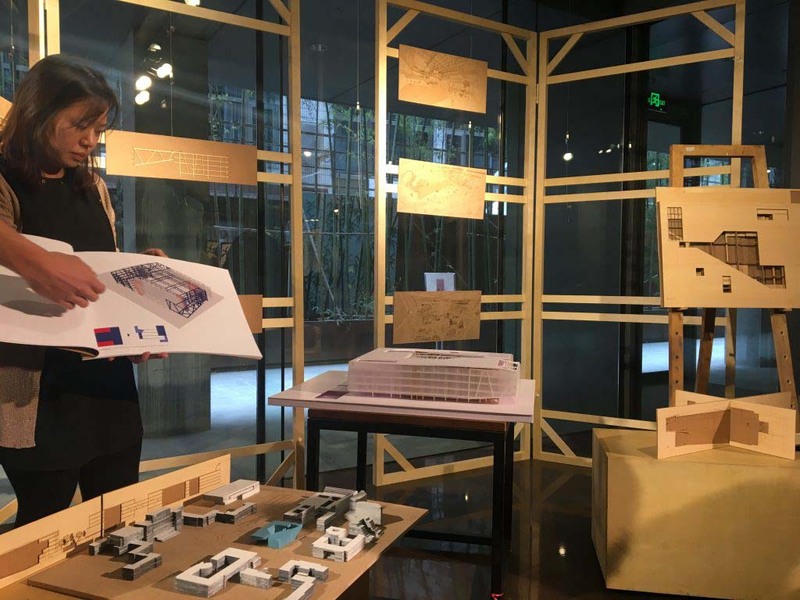 The project is to design a new learning environment, transforming Tsinghua University’s School of Architecture, based on the basic structure of the old, existing building. This new environment should be able to house all existing programs and provide room for expansion. The new building should communicate the design philosophy and provide an iconic image for the school on the campus. Students will research, document and assess the existing programs, spatial needs, and the history and educational philosophy of the school. Students will also document and assess the existing physical conditions of the school building. 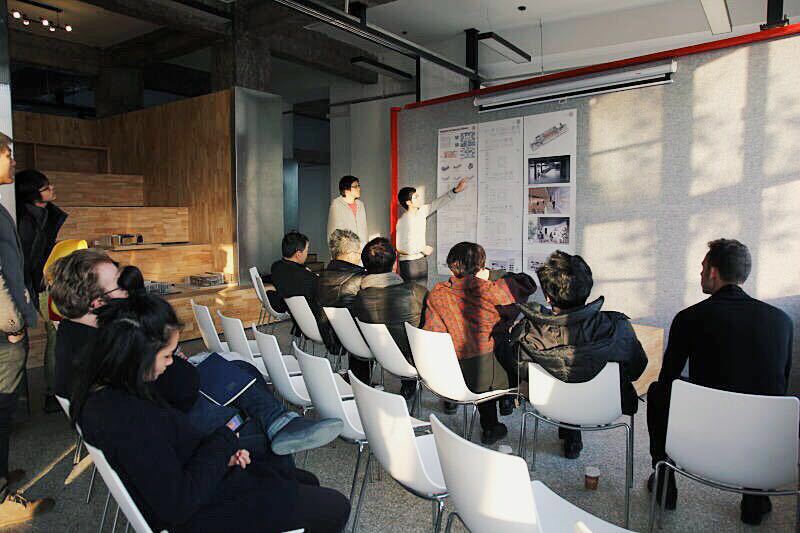 This research/assessment will provide the basis for defining the design criteria for the project. 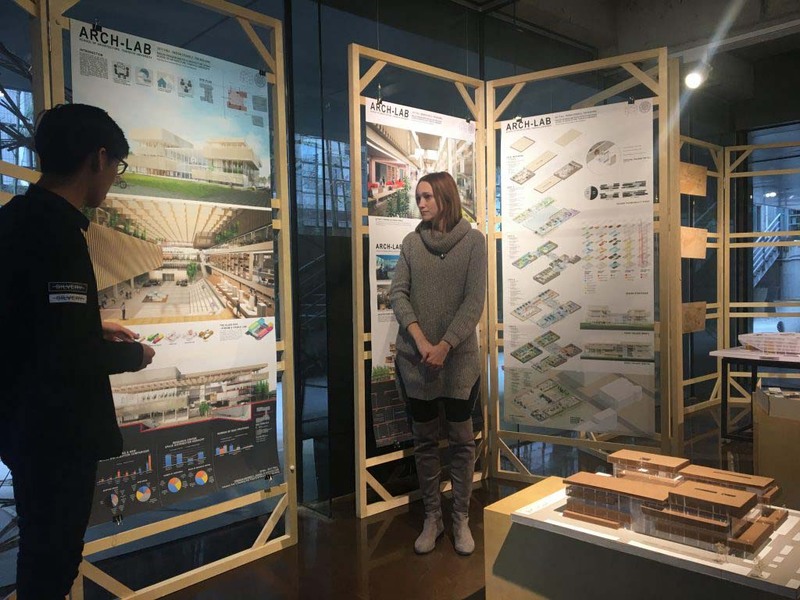 KJ & Soo’s project removed the central portion of the school and used intersecting geometry to create a new entrance that linked the existing buildings on either side across with sky walkways and bridges. 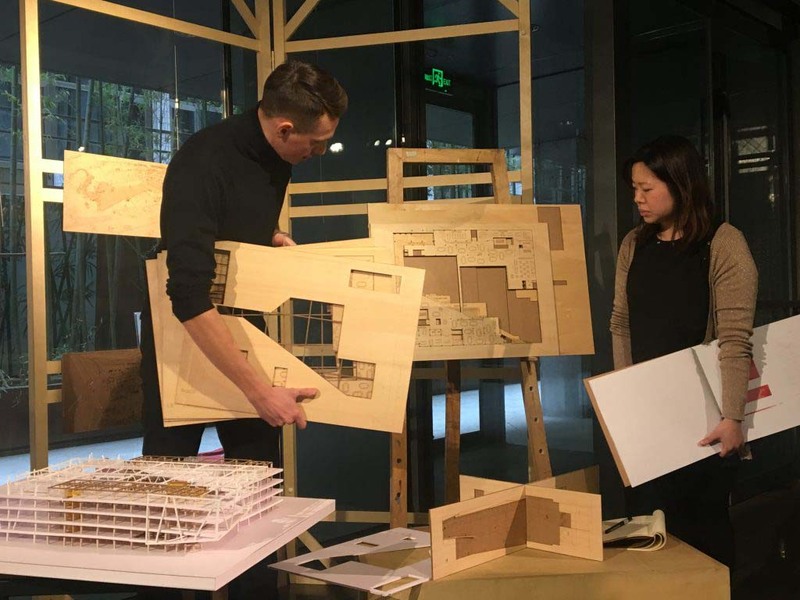 Dasha & Zhebin’s project stripped the building back to its structure and imagined the school as a series of stacked studio boxes linked together with a new central atrium. 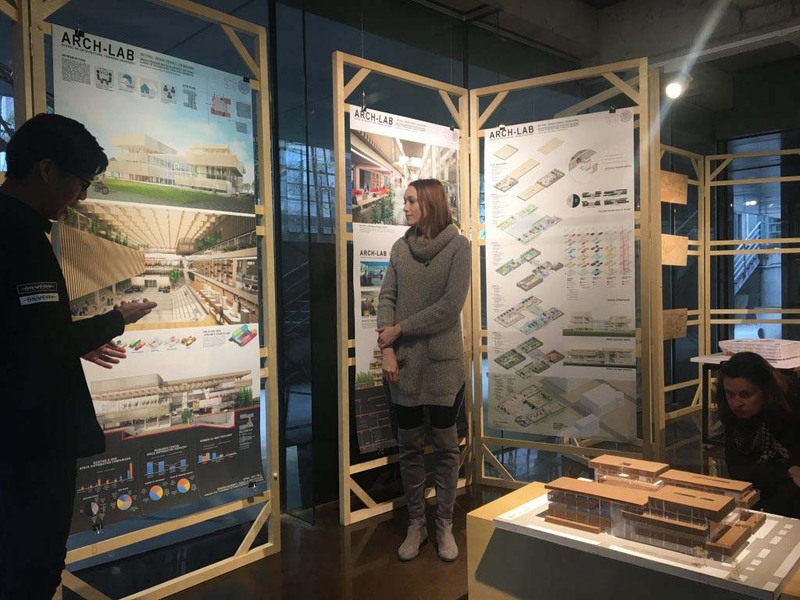 Fiona & Piedro’s project added more structure to the school building to turn it into a square structure with a subtracted atrium, and new facade which lifts up to reveal the entrances.